Rising from the shell of a former granary warehouse, NRW Landesarchiv is a monument to the district’s industrial heritage and an icon of a new era. Designed by O&O Baukunst, and completed in 2014, the building consolidates the region’s state archive in the unassuming city of Duisburg. The city is typical of the prosaic nature of the region. An uninterrupted, contiguous mat of power stations, roads and forlorn suburbs stretch from Essen and Mulheim in the east, to Duisburg and Dusseldorf in the west. Located at the confluence of the Rhine and the Ruhr, Duisburg is home to the largest inland port in the word, handling over 130 million tonnes of goods per year. This statistic must not be confused with success: as heavy industry withered in the Ruhr Valley, so did Duisburg’s population, reducing by a sixth since the 1990s, with a quarter of its inhabitants now living below the poverty line. A common story of many post-industrial towns, the city is littered with derelict buildings and land. It is apt, therefore, that the city’s most significant public building takes the form of a bricked-up, solemn carcass of a warehouse. The archive’s 70, tall tower is monolithic. As a tower filled with books, the building strikes a chord with a deep affinity of towers and knowledge. As an object, it takes the form of a memorial to the Ruhr’s long-gone zenith. NRW Landesarchiv (centre) viewed within the landscape of the wider district. Extending away from the tower and along the harbour side is 160m tailpiece – affectionately referred to as the ‘pigs tail’ or ‘worm’ – amongst other more explicit analogies. The wiggle conceals an otherwise standard office. Nestled in its curves are small pockets of greenspace, towards the harbour side, whilst an impervious glazed barrier bounds the motorway to the opposite side. Where the tailpiece meets the tower, vast circular cut-outs create views through into the tower of knowledge – reminiscent of Louis Kahn’s Exeter Library. This interplay of the old framed by the new is echoed in the façade of the building. The bricks used to infill the windows of the old granary and to clad the tower are identical, manufactured by the same firm, used to build the granary in 1936. The ‘tower of knowledge’, extruded from the former granary building. The ‘tailpiece’ extends to the right. NRW Landesarchiv goes a long way to suggesting how a building, no longer required for its intended purpose, can be rehabilitated with a programme concerned with the balance of the future and the past. It is both monumental and iconic. However, it remains to be proven if the metaphor can be applied more widely, more generally, to the city of Duisburg. NRW Landesarchiv viewed from across the harbour. Westerpark is an example of a former industrial site which has been transformed into a thriving recreational and commercial area. Located on the periphery of the UNESCO protected centre of Amsterdam, Westerpark combines a 19th century municipal park with a much larger complex of former gasworks buildings. The gasworks ceased to operate in the 1960s, after which the buildings were unoccupied and latterly threatened with demolition. The park shares its name with the surrounding historically working class residential district, and was seen as integral to the area’s identity. At this time a movement of squatters (krakers in Dutch) staged an occupation, seeking the preservation of the buildings. The protest worked - in 1989, the 19th century industrial buildings were designated as industrial monuments, paving the way for the remodelling of the site. In the 1990s the buildings became a synonymous with the arts and culture. Parallel to a reworking of the site by landscape architect Kathryn Gustafson, the buildings were reworked into a series of units for offices, cafés and events. The transformation of the gasworks into a park involved substantial remediation of land and has resulted in a widely regarded resource. The site now hosts regular markets as well as larger annual events, such as the Amsterdam Fashion Week. Former industrial buildings at Westerpark, transformed into creative units. Former gasholder turned events space at Westerpark. The partly rewilded landscape at Westerpark, as designed by Kathryn Gustafson. Sitting at the centre of OMA’s 100 hectare masterplan for Zeche Zollverein is a 12,000m2 visitor centre and museum. Located in the former Zollverein Kohlenwäsche – a single building used for the sorting of coal from adjacent mines – the project gives the redundant industrial structure a new and evidently successful use. The design approach was to maintain the structure as an industrial monument in terms of its interior and exterior essence. This meant inserting a new program whilst visibly retaining as much machinery and structure as possible. Previously coal would enter the top of the building via a network of enclosed conveyor belts. From here, the coal would travel downwards, being processed along the way. Likewise visitors enter the building via a 24 metre high escalator, from where they travel downwards through a series of temporary and permanent exhibitions. Ruhr Museum, near Essen, by OMA. Escalator leading to the entrance floor. The entrance floor acts as a distribution zone, complete with an information point, ticketing, a café and shop. Above this level, all machinery has been preserved to give visitors an idea of how the building previously functioned. The lower levels were previously a series of storage silos where coal was located before being transported. These have been divided into a network of themed exhibition spaces for the museum. Machinery retained in the top of the building. A semi-permanent exhibition space in the museum. Permanent exhibition space in the former coal washery. The building’s principal circulation is a single stair connecting the entrance level to the lowest public floor. Arriving at the top of the stair is a powerful experience: the analogy of mining processes is furthered by a dark and seemingly endless central void, reminiscent of a mine shaft. Main vertical circulation: akin to descending a mine shaft. Additional circulation leads to a viewing platform. From here, the building can be read in terms of its surrounding landscape, giving a clue to how the site functioned. On a clear day the site can be viewed in terms of how it functioned within the Ruhr district, for a seeming endless landscape of chimneys and winding gear can be witnessed. The industrial landscape of the Ruhr district. OMA’s masterplan for Zeche Zollverein, near Essen, covers a former coal mine and refinery of approximately 100,000m2. Completed in 2010, the site has been transformed into a successful public amenity. The masterplan entailed the retention of not only the former colliery buildings, but also much of the infrastructure. In doing so, it has provided the site with a promising post-industrial future. In 1983 the coal mines (‘Black Side’) were closed – five years later, the coal refinery (‘White Side’) followed suit. In an abrupt shift away from heavy industry, the Ruhrgebiet lost the driving forces behind its identity. For the decade which followed, the local authorities were unsure of the future of the site, however recognising its industrial and cultural significance they had the foresight to purchase it as a speculative acquisition. Parallel to the involvement of OMA, in 2001 UNESCO declared Zeche Zollverein an industrial monument. The masterplan was developed through a collaboration with heritage specialists and conservationists, being completed over eight years. Zollverein viewed from the Ruhr Museum. The masterplan was envisaged as a walled city with a band encompassing the site. New service roads and the extension of an existing highway create improved access. Notably, the disused railway lines have been retained across much of the site, infilled to create public walkways and informal squares. Supporting a new mode of transport, they once again act as a network connecting the buildings. Sky bridges, which formerly carried coal around the vast site, have been transformed into walkways. The periphery of the masterplan has been designated for new buildings and programmes ancillary to the former colliery workings. This has the effect of respecting the latter as a distinct, monumental territory. The programming of the new buildings and re-programming of the existing buildings contain many functions, most of which are related to the arts and culture. Amongst these is the Ruhr Museum, housed in a former coal washery. A frequent programme of temporary and semi-permanent events is hosted across the masterplan which successfully secure high visitor numbers year round. Walkway along a former coal transport bridge. Walkways along a former railway sidings. Former coal transport plant retained across the site. If you want to understand the underlying sentiment of Brexit Britain, visit Stoke-on-Trent. Proclaimed as the ‘Brexit capital of Britain’, the city voted nearly 70% in favour of leaving the European Union – the highest out of any city. Stoke is a metaphor for the uncertain political climate which surrounds us: In 2017, Stoke Central MP Tristram Hunt vacated his seat causing a by-election – UKIP saw an opportunity, declaring ‘let’s make Stoke the capital of change’ – they came second; in the 2017 General Election, owing to mounting disillusionment with the direction of the Labour party, Stoke South – a Labour stronghold since 1950 – voted in its first Conservative MP. During a recent research visit to the city, walking along the towpath of the Trent and Mersey Canal, I came upon Festival Park – an adjoining development largely consisting of offices. Formerly the main site of Shelton Steelworks, the site is a metaphor for many of the city’s social and political woes. In 1978, culminating from an historic overreliance on too few industries, the works were closed amidst much local protest before being adopted as a site for the burgeoning Garden Festival movement. The Conservative movement sought to catalyse regeneration in post-industrial cities through tourism and job creation. Following the event, in the 1990s, Festival Park was rebirthed as a low-density office and retail park. The only remaining building form the site’s industrial era is Etruria Hall – once the residence of ceramicist Josiah Wedgwood – it has now been enveloped by a Travelodge development. On a map, one can see the canal winding to the west of the site, and the dilapidated remains of the gardens towards the centre; yet on the ground, these features are largely unnoticeable. For the site’s abundance of features, the developers created a remarkable insular environment. A kilometre to the north of the site is the recently reopened Middleport Pottery, reworked by Feilden Clegg Bradley Studios. 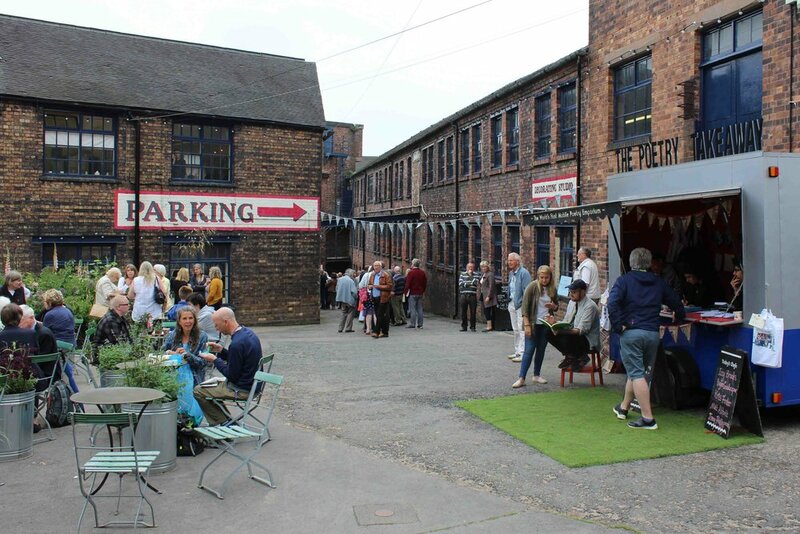 One of the few remaining traditional ceramics factories in the Potteries, it is a project which is well-judged, confident, open to the canal – and distinctly European-feeling. This is not least because it is amongst a handful of regeneration initiatives in the city which have been reliant on European Union funding. More broadly, and at a national level, such regeneration efforts reflect a ‘Europeanisation’ of public space espoused under New Labour planning policy. Barnsley would be a Tuscan hill town, Gateshead would be the new Bilbao, and Sheffield modelled on Barcelona. Each of these places voted in a clear majority to leave the European Union. So what went wrong? In many ways, modern Stoke is a landscape of the 1970s and 1980s. A rapid growth of social and private housing in this period, aimed at stimulating the local economy, resulted in a mesh of cul-de-sacs infilling the peripheries of the city’s urban centres. Festival Park was merely an extension of this view of regeneration, not least in its layout. Whilst an extension to the peripheries of Hanley, the development creates a dead-end condition, ignorant of its surroundings. It is surprising how the design team behind Festival Park did not want to emphasise the semi-Arcadian landscape which replaced the wrought and industrial landscape of the steelworks. Equally, this was the norm of the time: you can find similar developments at Nottingham’s Castle Marina Park or across much of Milton Keynes. The contrast with European regeneration initiatives of the same era is remarkable. At the heart of it was a very different attitude towards the importance of public space. Landschaftspark Park in Duisberg Meiderich, Germany, opened in 1994, is a repurposed industrial landscape of a similar scale. The Guardian described it as ‘one of the ten most beautiful urban oases in the world’. Alongside remodelled industrial buildings, used for a variety of corporate events, the landscape is successfully used for leisure, recreation and sport. In 1992, the Labour Party’s publication ‘A New London’ contrasted Europe’s openness and sense of experimentation with Britain’s dilapidated streets and new suburbia. This was an abstract of what Richard Roger’s Urban Task force would attempt to implement from 1997 to 2010, promising nothing less than an Urban Renaissance to cities such as Stoke. The new Europe of New Labour never materialised in Stoke. Funding was either insufficient, or cut too early, or simply ill-managed. Aborted schemes such as Pathfinder, to ‘renew’ the city’s housing stock, resulted in the wholesale demolition of entire blocks of Victorian housing. Much of this housing has yet to be replaced and has resulted in a physically and socially scarred landscape. Whilst Salford became a cheaper, rainier version of Barcelona, Stoke remained firmly in 1980s England, complete with its dreary office and retail parks. Whilst many of Stoke’s urban qualities overlap with those of other post-industrial British cities, the collective effect is unique: the city has a rich and enviable industrial heritage; it is home to two universities, and in 2015 had the second fastest expanding local economy. Such attributes should surely be cause for celebration? At least in mainland Europe, the answer would be very different. The wasting of the city’s resources represents a significant failing of planning, which in turn represents a significant failing of politics. It is no wonder that Stoke feels so disconnected with Europe. At this political turning point, the precedent of the European city once again becomes central to debate. The European city is not merely the clean, walkable, social framework espoused by New Labour, it is also the city of the nation-state: a model which has caused cities across Britain to be reshaped in its image. Where should Stoke now look for inspiration? Patrick Keller’s 1999 film ‘The Dilapidated Dwelling’ argues that Britain has the oldest and most dilapidated housing stock in Europe, and it is enormously expensive to retrofit - why not just knock it down and build something better? Blocks of terraced housing demolished across Hanley and Middleport (black) under the failed Pathfinder scheme. Under Pathfinder, vast amounts of hosing were demolished in Stoke-on-Trent – often entire urban blocks. Communities were forced to leave their homes, forced out by Compulsory Purchase Orders. The scheme was aborted mid-way in 2011, resulting in cleared sites lying dormant, awaiting ‘renewal’. At the time of writing, only a few of these areas are undergoing the reconstruction promised under Pathfinder. In Hanley, where terraces of Victorian houses once stood, a similar density of terraces and semi-detached homes are now being erected. Land awaiting redevelopment off Bucknall New Road, Hanley. Land awaiting redevelopment off Litchfield Street (A50), Hanley. A new development of terraced houses and flats on the site of former Victorian terraced housing in Hanley. MediaCity UK is an 81 ha mixed use development on former brownfield docklands in Salford and Trafford, Greater Manchester. The project was developed by Peel; principal tenants include the BBC, the University of Salford and ITV. - Quay House is the largest at 12,500m2, and is the only one used for twenty-four hours a day. While it is primarily used as office space, the building also houses two television studios and radio studios. 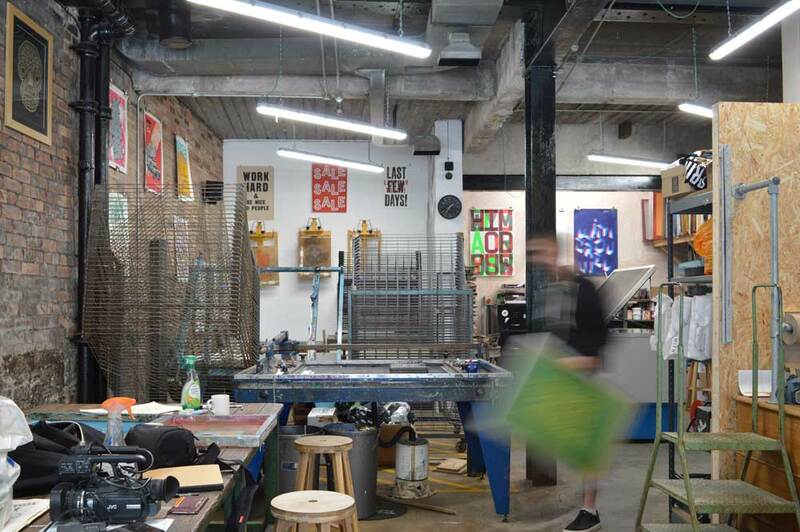 The studio spaces are relatively loose-fit, working within the standard floor to floor dimensions of the structure. - Bridge House houses a variety of production facilities. - Dock House is primarily an office space, but also houses radio studios. - The Studios contain seven studios of a variety of sizes; the BBC hires studio space out to Sky and ITV. They are of a variety of sizes – the largest sits on hydraulic jacks for noise dampening purposes. From left: Quay House, Bridge House and The Studios. A studio on the 1st floor of the Quay House. Transmission facility adjacent to ITV Studios. Chatterley Whitfield is a former coal mine on the north-eastern periphery of Stoke-on-Trent. The site is a unique liminal condition: to the west – separated by a slag heap - lies the city, to the east lies open countryside. It was here in 1937 that the mine produced 1,000,000 tons of sellable coal in a year – the first in the UK to do as such. The mine workings were, and still are, substantial. Five shafts, their winding gear, workshops, boiler houses and amenity buildings stand as relics to a former industry – little changed since the site’s closure in 1986. There is a sense at the colliery that time has stood still, that the city has turned its back on the site, its heritage and its legacy. The structures – which are nationally typologically unique – are slowly decaying. What protection they have has concerningly been downgraded by Heritage England in some cases. The Friends of Chatterley Whitfield, a charitable trust who seek to manage the legacy of the site, have grand plans for what the site could be; their aspirations are almost palpable. It’s a pity that the site’s owner, Stoke-on-Trent city Council, whilst a safe pair of hands, fail to invest in the site’s future. In the broader sense, the site struggles to be unique. In the words of one volunteer, “Stoke is full of abandoned industrial buildings. It’s a hard case to make that one building deserves more protection than another”. The site’s location hasn’t helped with visibility. Being situated on the periphery of the city, it can be forgotten and ignored – an issue to be dealt with later. Equally, its peripheral location has something to do with why it is so well preserved. The relationship of industry and landscape is deeply profound – it is much as it was a century ago. There are two main issues at Chatterley Whitfield. Firstly, the site represents a significant dimension of the cultural and social heritage of the city – how should this history should be addressed? Secondly is the primacy of a large site falling into irreversible disrepair – the function of the site becomes nebulous – what should it be used for, and by whom? The set of conditions at Chatterley Whitfield are distinct and yet common to Stoke-on-Trent – whatever decision is made as to the site’s future will set a significant precedent to development in the city. Traditional dichotomies of building-use patterns are becoming increasingly conflated in parts of Stoke-on-Trent. A three mile stretch A5271 connects Longport to Tunstall, much as it has done since 1763. Development in the respective settlements grew primarily following a nuclear, but also a linear pattern. The latter takes the form of terraced housing, shops (mostly former shops) and mid-century suburbia connecting the settlements. However, this development never quite connected the two. Historic employment opportunities were mostly within the settlements. A spate of development within the past five years has seen both the separation of the settlements blurred, and a broadening of use classes along the street. Development has predominantly taken the form of vast sheds, typical of an industrial estate, yet immediately adjacent to pre-existing housing. The high street has therefore become more diverse in function, and the immediate morphology more dense. The adjacency of housing with distribution warehouses and showrooms appear contrary; aside from employment opportunities, there is little interrelation between the two typologies. How can the industrial estate be successfully merged with suburbia? How can the two typologies collectively support the notion of a high street? Can the infill of industrial sheds form a place-specific condition which defines an arrival and departure from one settlement to the next? The state of the local economy in Stoke-on-Trent is the subject of frequent contestation. Further, it is suggested that the city lacks the creativity necessary to facilitate home-grown economic development of a scale necessary to turn the city around. The City Council’s Core Spatial Strategy states: “[t]he historical dependence upon a narrow range of traditional industries has contributed to the fact that neither the borough nor the city can be described as particularly entrepreneurial”. A recent visit to Hanley’s Cultural Quarter represented conflicting evidence. 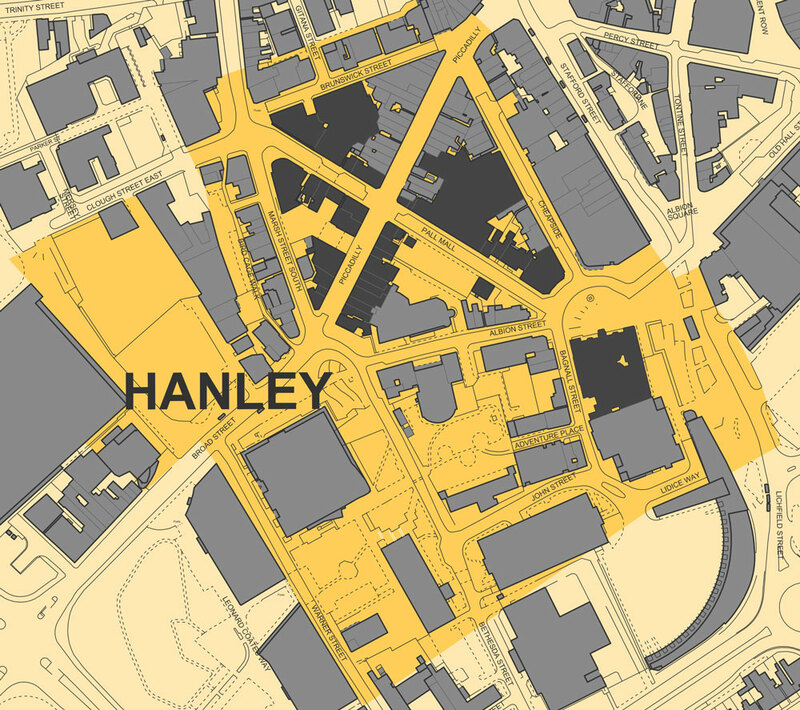 The phenomenon in Hanley is to be noted – the town is the formal city centre – the cultural quarter is an uninterrupted zone of independent firms founded in the city. Against a national context, the situation of such an agglomeration of successful outlets in such close proximity to a city centre is a rare scene. It evidences a live root of creativity which is intrinsic to the area. How can such success be multiplied? What conditions may allow this model to be repeated in other urban centres in the city, as well as less populous areas? Does the Core Spatial Strategy best recognise and accommodate the start-up of small scale business? Hanley Cultural Quarter. Pall Mall, Piccadilly and the Town Hall are in dark grey. In 1973, Shelton Bar was the inspiration for Peter Cheeseman’s documentary-theatre piece, ‘A Fight for Shelton Bar’. It told the story of the long running battle between the Shelton Works Action Committee and the British Steel Cooperation over the BSC’s proposals to close down steel manufacture at the site. In 1964, £20-million had been spent on making Shelton Bar one of the most modern in Europe. The works were very highly profitable. The proposed reduction of 1972 would have lost 2,000 jobs and raised the Stoke unemployment level by 3%. It was a threat to the whole district. The stage was set for a classic confrontation: a giant nationalised industry pursuing a long-term rationalisation scheme versus a close-knit and committed workforce, dedicated to preserving, in their own words, ‘their history and heritage’. Stoke-on-Trent’s Victoria Theatre came to the fight in October 1973, at the Action Committee’s request. Over four months Peter Cheeseman and a small research group captured over 100 hours of tape recordings in personal interviews, at Action Committee meetings and at the steel works. The documentary was staged in January 1974 and remained in the theatre’s repertoire for most of the year. Every night a member of the Action Committee spoke during the show to bring the events up to date. The theatre-documentary played a significant part in the campaign to win a hearing for Shelton’s case. It was a good case, and they won it. This success was eclipsed in 1978, when the main works site was closed. In 2000, the site was fully closed following being run by Corus. It was then used as a major supplies depot in the £8-billion upgrade of the West Coast Mainline railway – which borders the western periphery of the site. The site is now largely empty following clearance works ahead of a regeneration project by St. Modwen – according to their website, an ‘expert developer and regeneration specialist’. As part of Stoke-on-Trent City Council’s Strategic Housing Land Availability Assessment (SHLAA), key sites have been highlighted for possible development around the city. Shelton has been split into four sites 177 (19.37 ha), 179 (6.09 ha), 317 (5.12 ha) and 495 (4.78 ha). The total area of the former Shelton Bar site is 80 ha. Site 177, former Shelton Bar site. How can the Shelton sites be redeveloped with a collective vision towards ensuring long term employment, without an over reliance on any one industry? What industries can collectively support employment figures which are reflective of the 1973 figures as well as population growth? How can such future industries engender associations of place and community akin to the strength displayed by the former Shelton Works Action Committee? Possible brownfield redevelopment sites at Shelton. Source: Stoke-on-Trent City Council, Strategic Housing Land Availability Assessment. A Festival in a Factory is an annual literary festival held at the Emma Bridgewater Ceramics Factory on the outskirts of Hanley. The festival is a conflation of regional talent and writers who tour such events. The festival was initiated in part by Stoke Central MP, Tristram Hunt (Lab), before he left office to pursue a private sector role as head of the V&A. I has been running for five years, enlarging every year. The marketing of this year’s festival suggested an event with a strong regional mandate. The category of touring writers represented a body of individuals broadly with an affinity only to audience, as supposed to location. It was a shame that this category was the most represented, in spite of how long the show has been up and running. This is not to say that regional figures were without impact. Stephen Seabridge and Emily Rose Galvin, Stoke-on-Trent and Staffordshire Poet Laureates respectively, presented inspiring insights into the unique nature of the area, making repeated cases for why we should value it. Indeed, it was reassuring to see civic representation listening to these reflections. It was a shame that BBC Radio 4 were predominantly engaged with - the more famous, touring writers and personalities. Of the regional accounts of the area, one factor seemed recurrent: the writers were predominantly prepossessed with talking about the city’s heritage, with few references to the present, let alone the future. Perhaps this was logged in an association with the ailing Victorian factory buildings that the festival was held in. Perhaps it runs deeper. The regional praises of Stoke have been sung, as well as its collective struggle under various political influences. For the regional conversation to progress and to make itself relevant to a national audience, such as BBC Radio 4, surely it must shift to a conversation which readily engages with the present and the future? By what means can the current issues and debates which face Stoke come to be discussed in equal measure to those cornering the area’s collective history? Does the use of a ceramics factory as an events space help progress new arguments which may become central to aspects of the city’s future? During my time in Stoke, it has been apparent that medium to large scale development in the city can be broadly classified into two crude typological brackets. Firstly there is that of low density housing. This in itself further splits into the street scale refurbishments of Victorian housing, and estate scale new builds. Secondly, there is that of large shed structures. From conducting informal interviews with residents, it seems apparent that whilst housing developments are generally welcomed, there is a degree of animosity towards the number of sheds being constructed. This sentiment was summed by response when I noted the works commencing on a new trade park further down the road in Tunstall to a café worker: “Not another shed…”. 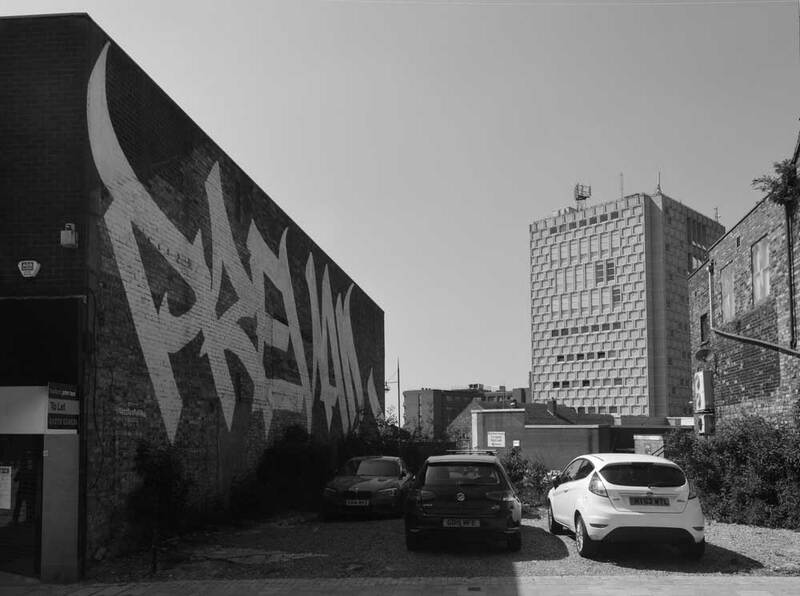 How can large scale commercial typologies, such as sheds, be adapted such to be accepted and welcomed by communities as a positive asset to their neighbourhoods? A speculative development of sheds on Brownhills Road, south of Tunstall town centre. A street of refurbished Victorian terraced houses in Middleport. A visit to Berry Hill Fields: a rural-urban hybrid. The rural-urban condition of Berry Hill Fields is a product of numerous urban centres expanding towards each other, yet with the respective ambitions of each centre to maintain a rural periphery. As such, a city-locked pocket of the rural has resulted. The land is used as a largely private recreational space as well as a nature reserve. The former is largely split between small plots and is predominately intensively grazed by horses. The peripheries of Berry Hill are increasingly being eroded by development in the form of speculative warehouse space and low density housing estates. How can the recreational desires of a small number of individuals be positioned against the needs of the larger community, whilst setting aside space for continued economic growth? Land use on Berry Hill Fields. New boundary to Berry Hill Fields as development encroaches. The modern day image of Shelton Bar is of stark contrast. Following the site’s closure as a steel works in 2000, the point which Stoke-on-Trent Central MP, Tristram Hunt, described as the city’s nadir, Shelton Bar was the largest single brownfield site in the UK. Almost two decades later much of the site remains as such. A small development of speculative office and warehouse space has begun to prosper towards the south of the site, close to the A53 and A500. Primarily the office spaces have been let to call centres for a range of national and international firms. The warehouses have predominantly been let to distribution firms. The vast majority of the site has been left to revert to nature since the site’s closure. Within this period, the northern parts of the site have been adopted as an unofficial and unmanaged recreational space in the absence of an equal public amenity. How can the site be developed to appeal to the loose fit and transient nature of business lets, whist offering a permanent and managed recreational asset to the local communities? The northern end of the Shelton Bar site - still a brownfield condition. An example of development typical to the southern end of the site. Offices neighbouring the Trent and Mersey Canal. The large part of Stoke-on-Trent’s historic growth was contained within the Trent and Fowlea Valleys. These districts were readily accessible to the upper coal measure beds of Etruia Marl and the Black Band Group. The towns of Stoke, Tunstall, Burslem, Hanley and Fenton all being located within these. The sixth town, Longton, an historic trading settlement along the Newcastle Turnpike being the only exception. The city, viewed from Berry Hill offers a varied prospect. A matrix of development can be seen - most of it still contained within the low ground. Rows of terraced houses are a prevalent typology, standing rank and file, giving way to occasional industrial relics such as the chimneys of former factories. Greenery is also common, in places it is planned, in others it is a mere by-product of post-industrial decay. Tower blocks, all from the latter half of the last century, highlight the centres of Haney and Stoke. Contemporary sheds glisten, pronounced in their colour palette and materiality, giving a clue to recent forms of development. These disobey the historic associations of urban centres, instead patching together the conurbation. Terraces of houses grew in reciprocity to industry, forming a structured urban landscape. Recent development of large sheds for outlet and distribution functions has defined an ad hoc programme of filling in left over spaces. How can the next stage of infilling the interstitial brown and green field spaces be structured to create morphologically distinct, yet geographically neighbouring centres. Terraced houses, former industrial structures and infill between Hanley and Fenton. houses, former industrial structures and infill around Hanley. A site visit to a district of recent commercial development in Hanley. Descending from Hanley towards the Trent Valley, the Etruria Road marks an arterial connection to the A500. Etruria was the centre of commercial activities for the dynastic ceramics firm, Wedgwood. Little trace remains of this former activity, less the Trent and Mersey Canal. A new form of development has begun to dominate, reciprocating from a spur of redevelopment in the early 2000s. The lower reaches of Etruria Road have attracted development on a substantial scale: numerous large single span structures line the road. It has become a landscape of sheds and adjoining carparks, housing a mix of retail parks and the headquarters of national firms. It appears that the landscape of sheds now defines a new gateway to Hanley. This typological and programmatic condition is common throughout the city. Can a better gateway condition be created with respect to the six urban centres? Looking back to the centre of Hanley as the Etruria Road merges with the A53, before joining with the A500. A view common to the Etruria Road. Large shed structures dominate. The Tithe Barn Trust is a volunteer run, not-for-profit charity, established to preserve a rare example of a medieval tithe barn. 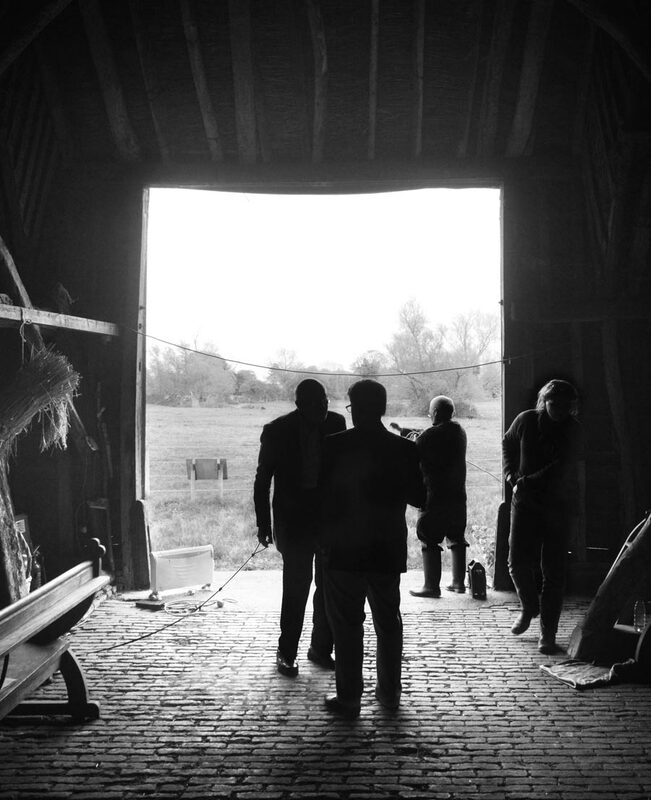 The group’s aim is to secure the future of the barn through opening it to a wider audience and the hosting of public and private events. They hope that these coupled with heritage funding will generate enough income for to cover maintenance costs and the provision of basic facilities. The barn is unique in that it is one of around two hundred surviving medieval barns used for the storing of rents and tithes, and amongst these, it is exceptionally well preserved. In this period peasants were required to give one tenth of their produce to their church. At Landbeach, the barn is situated adjacent to a medieval rectory – the only know pairing. The earliest believed reference to the barn is from 1456, noting ‘a great barn with a little square exit and entrance’. The structure is divided into three volumes. The central volume is served by two large doors, and separated from the outer volumes by framework. This pattern follows the form of an aisled barn. Its woodwork is also of note: the frame and rafters are substantial, the arcade posts are sinuous, and secondary structure is of a far slimmer in profile. 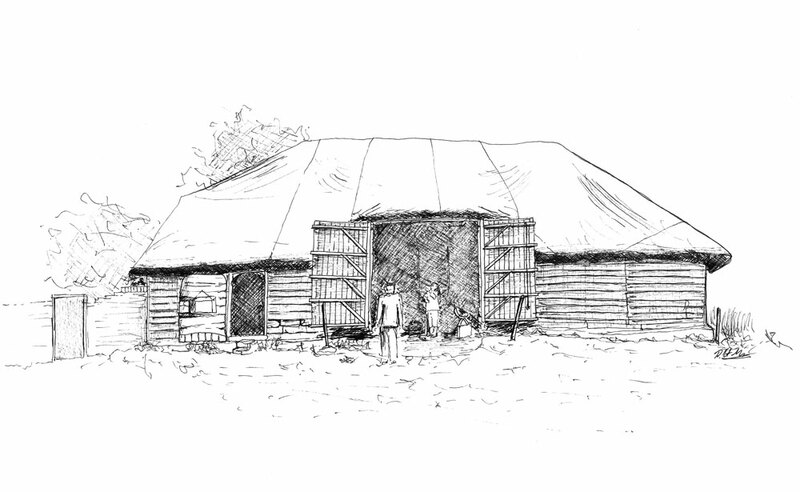 The roof is thatched, however at the time of visiting, it had been covered by a large tarpaulin. The main doors are wide enough to allow for the passage of a haywain, and are parallel such to allow a through draft for winnowing. Much of the floor is laid with bricks. In the central volume, where heavy goods would have been carted in, the bricks are laid on edge to support higher loading, while in the northern section the bricks are laid flat. The southern section of the barn has a wooden floor on which the grain and other produce would have been stored. The Royal Institute of British Architects (RIBA) and AHR have announced Peter Howle as the 2017 beneficiary of the RIBA AHR Stephen William Scholarship. The scholarship will offer Peter personal mentoring by an AHR architect and a £5,000 grant towards his MPhil studies. 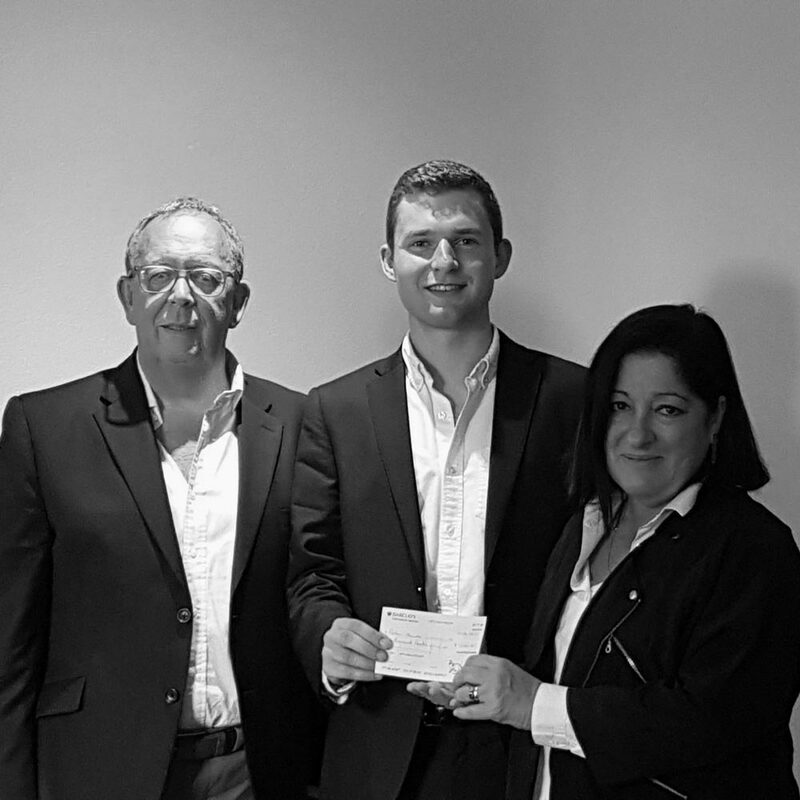 The judging took place in July by judges, Jane Duncan (RIBA President), Albena Atanassova (RIBA Council Member, RIBA Vice President for students and associates) and Brian Johnson (AHR Director and Past Chairman).